Limited financial assistance is available to patients who qualify. Please speak to a representative to see if you qualify for assistance. Patients can discuss qualification at the time an appointment is scheduled. Please contact center for more details. Full payment for all services is due on the day of the procedure and is payable by Discover, Mastercard, VISA, or cash. No personal checks. Photo ID required for all types of payment except cash. Photo IDs must not be expired. Card holder must be present to use credit card. We do not accept American Express. All fees are subject to change without notice. * Private abortion appointments available. Please call for specific dates, times, and fees.  Only one discount per patient. be required to have an injection of Rhogam. * A separate appointment will get blood type here day of procedure. * for additional services, request price when making appointment. 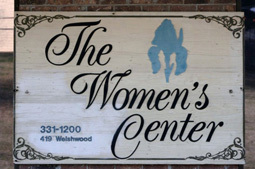 Copyright © 2009 The Women's Center, PC. All Rights Reserved.